This Palace Guardhouse box is a replica of the boxes seen outside Buckingham Palace. This model is made of wood and we would not recommend it going outside permanently. 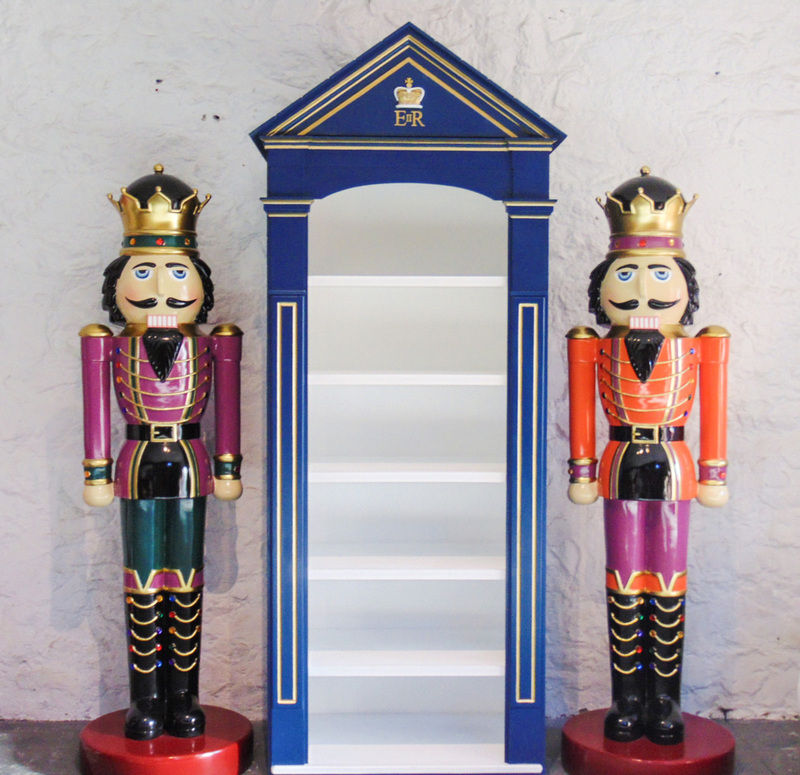 Our Buckingham Guardhouse looks fantastic and could be paired with our coldstream guard JR 2651. This resin replica Coldstream Guard can be used in any typically British display or in miltary themed areas in adventure golf courses, zoos, theme-parks or to promote shops, businesses, pubs, restaurants, coffee shops. It would even look fabulous in your own home or garden.